See Yourself With Braces Before They Go On! 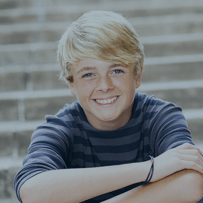 At the office of Dr. Jared Corbridge and Dr. Kim Rogers-Raftery, we understand that Frisco and Prosper orthodontics, including braces, can be a tremendous source of social discomfort for adolescents. That’s why we specialize in creating a calm, supportive, and fun environment where children and adolescents can learn more about orthodontic treatment options and take control of their oral health. It’s often hard for teens to imagine what they will look like with braces, which only adds to pre-treatment stress. Fortunately, now there is a tool called Paint Your Smile that lets patients see what they’ll look like with braces before ever stepping into the orthodontist’s office. Upload a recent picture of yourself with a big smile that shows your teeth. Choose a custom color combination or select from over 20 different colors. Apply your selected colors to your photo to see yourself with braces! You can also explore different color combinations without uploading your photo, but we think it’s more fun to see what your smile will actually look like with braces. Play around with different color schemes to find the one that suits you best. We realize that patients have many options when it comes to their orthodontics provider, and that’s why we’re happy to say they continue to choose us. Our team is committed to empowering patients in a supportive environment where they can ask questions and know that they are being heard. We don’t just care that you receive the best treatment possible to reach your desired outcome—we genuinely want to make you feel like part of the family. For more information about braces and Little Elm adolescent treatment, please give us a call at (214) 705-6188. You can also schedule an appointment online using our convenient appointment request form. We look forward to seeing your smile in our office soon!